"A communication was received from Mr. John A. McAllister offering to give the company a collection of illustrations and printed matter relating to the civil war, which he said cost him the labor of twenty years and more than a thousand dollars of money" (Library Company Directors’ Minutes, April 4, 1886). The collection he bestowed on the Library Company totaled some 50,000 items, mostly comprised of printed Philadelphia ephemera from the Civil War years along with prints and photographs that document the political, cultural and civic life of the city in wartime. McAllister was an indefatigable collector, seemingly stationed at the business end of every printing press in town. Other collectors throughout the North supplied him with such ephemera as patriotic envelopes and stationary, song sheets, and recruiting posters, and soldiers in the field even sent him Confederate ephemera. McAllister had begun assembling his vast collection into scrapbooks before donating the collection to the Library Company, and our early librarians continued the long and slow process of organizing the collection. By 1891 the project was even a budget item – $321.00 allocated for McAllister’s papers. And still the work was slow. In 1897 a committee examined the collection. "There are 43 boxes of McAllister accumulations . . . whatever of value or note is yet to be known. It now stands as an untouched heap of combustible matter." In 1898 Miss Edith V. Lamberton was hired the collection into dozens of large scrapbooks, several items to a page. 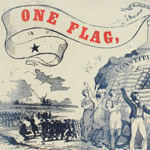 Though clumsy resources, the scrapbooks served researchers during the Civil war semi centennial and centennial years and students of Philadelphia politics and popular culture for the last century. Beginning in 2006, with funding from the National Endowment for the Humanities and the William Penn Foundation, we disassembled the scrapbooks, re-housed the collection, added records to our online catalog, and created finding aids, making the collection much more assessable to researchers. The Civil War is the most popular subject in American history and there are thousands of collectors of Civil War memorabilia. John A. McAllister is the godfather of them all. 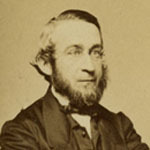 John A. McAllister. 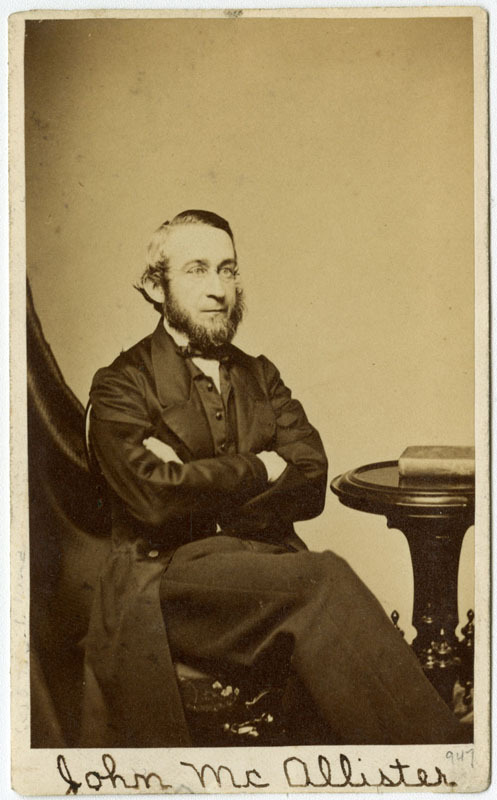 Albumen print photograph (Ca 1858). One Flag, One Country. Color wood engraving (1861).